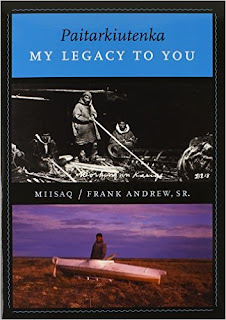 In Paitarkiutenka, My Legacy to You, Frank Andrews tells of kayaks able to repair themselves. On page 311 he says, "And some kayaks were endowed with supernatural attributes in the past. At present, kayaks no longer have these qualities." Apparently, some builders were able to build these kinds of kayaks. Andrews reports that it is said that the kayaks got this protection from destruction from the predecessors of the builders. He tells of one instance where a builder's young son was angry at his father and attacked his father's kayak with an ax but was not able to hurt it even though it was only covered in painted canvas.